Jeremy Clarkson has a knack for getting people worked up. The former Top Gear presenter says what he thinks and often this gets people’s attention. For a bit after being let go from the pokey little motoring show on BBC2, Mr. Clarkson stayed mainly quite. But, he has been back active on social media and has posted something a bit ago that has social media buzzing. Click past the jump (or scroll down if you came directly to the full article) to see just what Jeremy posted that has caused such a stir. Can cars be art? Many have said “no” because art has no purpose except itself. However, many artists have turned cars into rolling art works. Examples of this include the BMW Art Cars that were made by artist such as Andy Warhol. The Corvette will be wearing a white vinyl wrap to make it easier to paint and the painting will take about 45 minutes while onlookers watch it being created. We look forward to seeing the finished piece of art. The new C7 Corvette Stingray is a lot of car for the money. It provides huge amounts of power and on the road a good ride. We know from Chris Harris that it isn’t always as composed on a track as the Porsche 911 Carrera S, but this isn’t as noticeable on the road. Chris came to the conclusion that the 911 was worth the higher premium, but that the American sports car was still very good and had more available power. 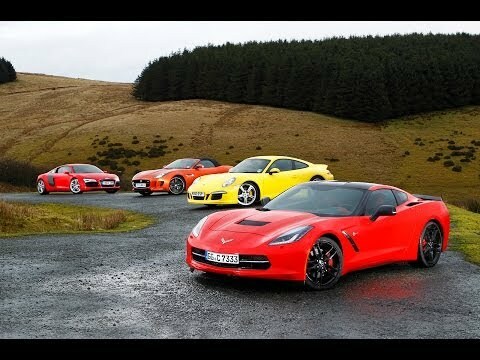 In this video Autocar tests the new Corvette against some of the best cars out of Europe. They compare it against the 991 Carrera S for acceleration and braking which the findings appear to match what Chris Harris experienced. Then it is put up against the Jaguar F-Type to compare the sound and how much fun the driving experience is. Finally it is compared to the R8 for its composure. While we aren’t sure if they compared it against all the strengths of each European car, it is still interesting to see how much closer the new Corvette is to its rivals across the pond. Question: Porsche 911 Carrera S Or Corvette Stingray? 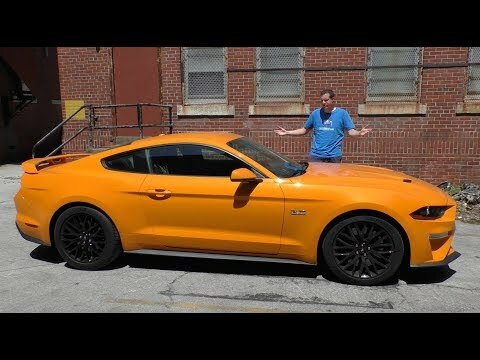 Does this cost difference result in a better, more desirable car? To put it plainly, yes it does. But, if it was your money and you could afford either would you buy the 911 Carrera S or the Corvette? Let us know in the comments.